In order for the prawns to cook at the same time, empty the container of frozen prawns into a deep bowl with enough cold water to cover them completely. Leave them for 5 minutes, at which time they can be separated from each other. Once they are separated, let them sit about 10 minutes on a plate so they are completely thawed. Heat the oil on medium heat. Add the prawns and garlic and cook for 1 minute. Remove from heat and test a prawn. If not to your liking, cook for another 30 seconds. Do NOT overcook as the prawns will go soft. 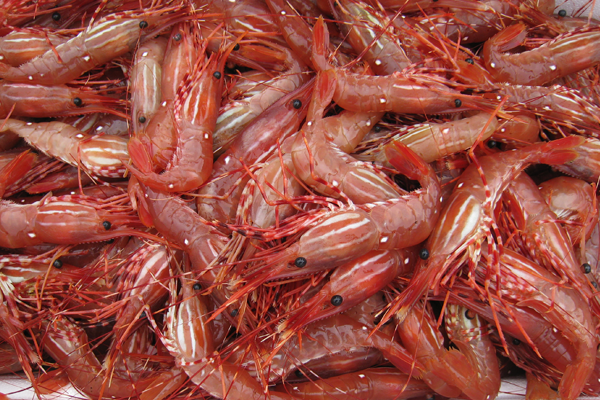 BC Prawns, unlike others prawns, go soft when overcooked… a few seconds can make all the difference. It’s better to slightly undercook than to overcook them. Enjoy! We will have available for purchase that day, the 500 ml and 1 litre plastic containers that are best for freezing them. Alternately, they can also be frozen in water in freezer zip-lock bags. That’s all it takes for you to be able to enjoy this BC delicacy all year long!